The first step after reviewing the Safe Journey Dog Boarding website is to give us a call so that we can answer any outstanding questions that you may have about boarding your pet with us. If everything is in order, we will arrange to schedule a tour of our property for you and your dog. 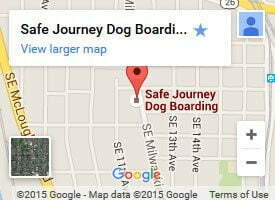 For the safety and comfort of your and your dog, call us when you arrive at our Portland pet boarding services property for your tour, we will come out to greet you, meet you and your dog, and explain the normal process for dropping off and picking up your dog when you are at our facility. Once we’ve met and covered the appropriate outdoor procedures, we will take you inside to tour our Portland facility and meet some of the dogs that we have on-site. This will give us a chance to get to know you and your dog and allows us both to evaluate your dog’s comfort level in a cage-free environment. At that time, you will be able to see all of the areas where your dogs would eat, sleep, and play, and have any and all of your remaining questions answered. Barring any significant concerns by either party, arrangements can then be made for paperwork, a free day of day care for socialization and familiarization purposes, reservations, and costs. Our Portland home was originally built in 1893 as a two bedroom one bath living space on the main floor. 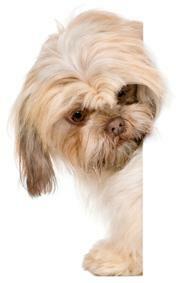 Today, the main floor is devoted to the care and well being of your dogs while boarding. They have the run of the original house. What once was an attic in 1893 has now been converted into an on-site residence which is occupied 365 days per year. Five team members work together to provide proper care and supervision of your dog’s boarding experience. This is our livelihoods. You dog will not be subjected to part-time or modestly committed employees or turnover. Your dogs will get to know us, and if they visit routinely, as most do, they will keep seeing the same faces over and over again! Typically, all that you need to provide in order for your dog to have a great stay with us is a leash, dog food, and payment. For your dogs safety and comfort we ask that you do not bring personal possessions which may become damaged, forgotten, or possibly become the source of defensiveness or possessiveness. Your dog will generally get a high degree of exercise here as a result of roaming and normal play so toys are not necessary. In addition, there are plenty of comfortable places for your dog to sleep so dog beds are discouraged in most, but not all circumstances. This can be discussed during your tour. Our first priority is your dogs comfort, however, we have found that in the vast majority of cases our guest dogs do not use their beds brought from home. While in our Portland home, your pet enjoys frequent contact with our care team members. 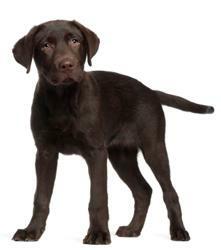 We appreciate your advice and suggestions regarding your pet’s feeding, medications and appropriate behavior. Dogs are free to roam 1400 square feet of space. Outdoors they can bask in the sun on our back deck and play in our fully secure and fenced yard. Both sides of our yard is double gated, our fences are double-sided, and additional security has been added to the top of our fence line. Like a bird aviary, we also maintain a two door system where your dog enters and exits the property. All dogs are fed one at a time in a private room. If treats are provided for your dog, they will be given at feeding time in addition to their meal. Again, this is to ensure that treats, like other personal possessions, do not become the source of defensiveness or negative interaction. For your dog’s protection, our home is climate-controlled and our yard is pesticide-free. Your dog will have 12 hour a day access to both our home and back yard. The back door to the yard is closed up by 9pm for the night. One to two potty checks are given are given throughout the night. Otherwise, your dog will remain indoors until we reopen for business the following morning at 7am.